A little more than two years ago, we set out on a mission to build a sales development team. We found ourselves in a position where our inbound marketing strategies were driving the results we were looking for in terms of lead generation but we identified a new problem. That problem was that the leads we were handing over to our clients were not sales ready. We decided that we needed a sales development team. We envisioned a team of sales development representatives (SDRs) that would not only handle inbound leads for clients but also manage outbound campaigns that would be fully supported with fresh content. It’s this content that allows our SDRs to nurture their prospects into sales qualified leads (SQLs). Here are five things that I have learned while building this team that can help you avoid some mistakes not mention save you some time and money too! “In God we trust, everyone else must bring data” is one of our core values at Imagine. I’m sure you’ve heard/read Doug talking about data many times in this blog. We firmly believe in numbers and the story that they tell. Now don’t get me wrong, collecting and analyzing the wrong data is an absolute disaster. Analyzing and reviewing the wrong data tends to motivate your SDRs to focus on the wrong thing in order to meet a certain number. Sadly, I admit that we originally looked at data such as number of dials. Dials are clearly the wrong number to evaluate. Over time, it became clear that the number of conversations, the number of marketing qualified leads and sales qualified leads were much more valuable and told us a better story of a SDR’s activity and successes. As you can see, we are focused on results. I analyze the number of conversations, not the number of dials. The number of dials is important to know but it is not the goal. The conversations are what ultimately lead to a marketing qualified lead or sales qualified lead. Focusing on quality conversations in the progression of a prospect, allows us to use this data to better understand where we stand with prospects. That’s hard to believe, isn’t it? Since they’ve been coined the “trophy generation” or the “participation trophy generation,” it’s hard to believe that this younger generation can make great sales professionals. Although they are known to be entitled, opinionated and lazy, it turns out some of their other qualities make them more suitable for the grind of today’s SDR. One of the first things I noticed about millennials is their respect for metrics. They have grown up being graded on everything they do, so much so that they expect a report card for every action they take. They also look at sales as a science. They seem to tinker with everything from the time of day, the length of an email and even subject lines, to see what might work better. What I liked most about hiring these young men and women is that they are free of bad habits. 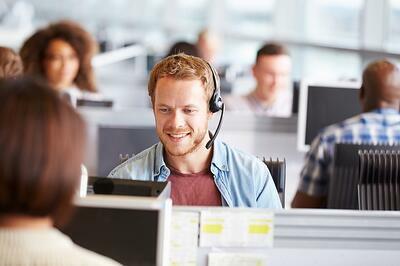 They have not worked in a cubicle environment where they are focusing on the number of dials as opposed to the number of quality conversations. They also tend to be motivated buy your product or service. This is very important because they have to believe in what they are saying in order to sell the service or product. If they don’t believe in it, they don’t have the “sales creativity” to sell it. Lastly, they do not struggle with technology. They understand how to work “in the cloud," they understand the advantages of social media, and when it comes to technology at work - they are not intimidated by it. This is something that you don’t want to learn the hard way. In many cases, the millennial generation SDRs that we hired came to Imagine for the opportunity to learn and grow as a sales professional. Originally, my thought was to coach the SDRs that struggled but only in those areas that were obvious. The mistake I made was not developing a coaching program for the entire team that not only covered the things we may have struggled with, but to challenge them to get better in the areas where they were already strong. These young professionals want to be challenged. They want to be coached. I have found they will actually rise to the occasion and compete not only internally with their team, but also with their friends and most importantly, themselves. Without a coaching program in place, you will lose your better SDRs. I used “there’s just not enough time” as an excuse for not creating a coaching program the first eight months. I quickly realized that the better SDRs would not stick around without one. You must make time for coaching. We now have 1-to1 meetings scheduled for 30 minutes, twice a week. I use recordings of their calls, feedback from clients and prospects and data to help coach them up to the next level. Whether you’re a sales manager or sales executive, do not overlook coaching your sales development reps because if you don’t coach them, someone else will. I am not going into the details of what a CRM is. If that terminology is new to you, there is plenty of content available to help you understand it. Additionally, you are not ready for a team of SDRs if you are not familiar with CRMs. There was a time that I would like to say was a long, long time ago but honestly it was less than three years ago when we were using spreadsheets. I know, crazy right? But it’s true. If we were to say it was difficult to build a SDR team and a sales development process without a CRM, that would be an understatement! It was downright impossible. As we began playing with options that would fit our business model and team structure, HubSpot began talking about coming out with a CRM. Today, we successfully use HubSpot’s CRM combined with the Hubspot sales tool. (For a review of the HubSpot CRM, click here.) This has turned out to be a very powerful tool that not only makes an SDR’s job easier, but also provides data and reporting second to none. This is the primary tool that allows us to make the dials necessary to generate significant results for our clients – award-winning results, in fact. You don’t have to spend a million dollars on your CRM but your technology stack has to fit the sales development process or your team will not be as successful as they could be. Now, for us, we had a playbook in place from the very beginning. The problem was, it was full of everything we thought we needed. As it turned out, we learned that most of what we had in the playbook was not valuable and somewhat confusing to the team. Today our playbooks consist of buyer personas, scripts for each persona, follow-up emails, copies of the outbound emails with content offerings, typical objections and how to overcome them, qualifying/disqualifying questions, and much more. My goal is to make sure the SDR has what he or she needs in that playbook to help them sell the product or service to a prospect. For help creating your own sales development playbook, download our workbook. Trish Bertuzzi, recently wrote a book called The Sales Development Playbook that I wish was available a few years ago. We would have saved so much time and money! If you have not read Trish’s book, then you are bound to make costly mistakes while trying to grow sales. If you truly want to accelerate growth, you must have the sales development playbook in place that provides the direction and strategy to meet those goals. The five items I shared with you are some of the most important components of building a sales development team. Please understand, there are more than these five items needed to build a team. However, I believe these five are the easiest places to make mistakes and can also be the most expensive. I am happy to say that today Imagine has a strong sales development team that is positively impacting our client’s market share and revenues. So assuming you are looking for more new customers to grow your business, designing a sales development process and hiring sales development reps should be a part of your plan. Sales development is focused on the front end of the sales process that ultimately puts better qualified leads into the pipeline. Implementing this process will increase sales efficiencies and make lead generation sustainable, scalable, and predictable.